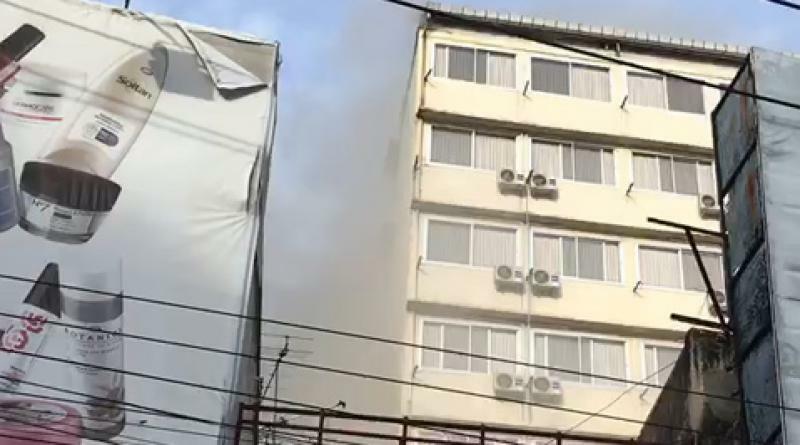 SOME residents of a 9-storey block of flats at Soi Thong Lor jumped down from the 3rd floor after a fire broke out in the 1st floor karaoke restaurant this morning (Nov. 24), and were rushed Samitivej Hospital with broken legs, INN News reported. 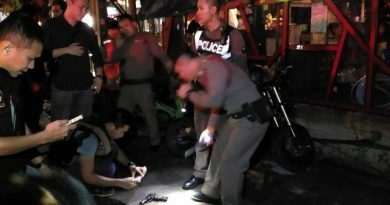 Thong Lor police and firemen rushed to put out the blaze at the women-only flats, with both Thais and foreigners living within, at the entrance of Soi Thong Lor and near Thong Lor BTS station. Firemen took around an hour to control the blaze, which had spread to the ceilings of various floors, and there was thick black smoke in all nearby areas. 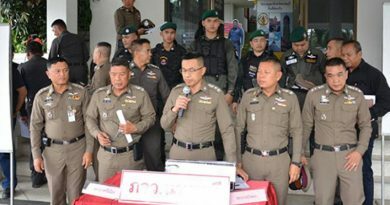 Traffic police, soldiers and volunteers helped ease the traffic congestion, which built up during the morning rush, with there being very long tailbacks. 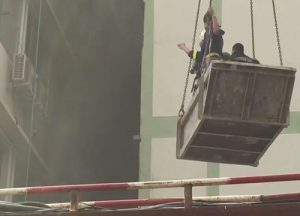 As firemen were putting out the fire, some residents who were still trapped within decided to jump down from the 3rd floor, breaking both their legs, and were rushed to Samitivej Hospital. A resident said she heard the fire alarm go off at around 6.30 to 7.30 am this morning, after which her friend knocked on the door, and they both ran down to the ground floor. She only managed to bring her keys with her and nothing else. 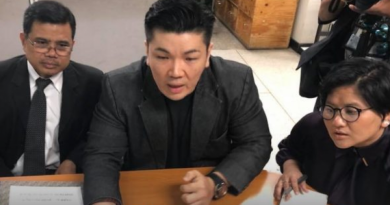 Police said the fire erupted in the 1st floor karaoke or Japanese restaurant, but they are still undertaking a detailed check to pinpoint exactly where.